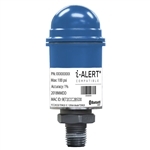 This universal bracket can be epoxied or mounted to a pump, fan, blower, mixer or motor, to allow the mounting of the i-ALERT2 condition monitor. * i-ALERT2 condition monitor sold separately. This magnetic mounting kit allows a fast and easy solution to mount the i-ALERT2 condition monitor to a pump or other rotating equipment. 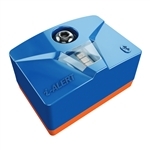 Replacement battery for i-ALERT pressure sensors. Works with K10504A01 & K10504A02.